Dedicated students have had their hard work recognised at our Celebration of Achievement Awards. The annual event puts the spotlight on the efforts of learners across the College. And this year didn’t disappoint as 27 accolades were handed out at a glittering ceremony. All nominees were selected for their hard work, effort and commitment. With Student of the Year titles for each subject area, there were also special recognition awards for Contribution and Enthusiasm, Overcoming Adversity as well as the Vickie Lawrence Memorial Award. 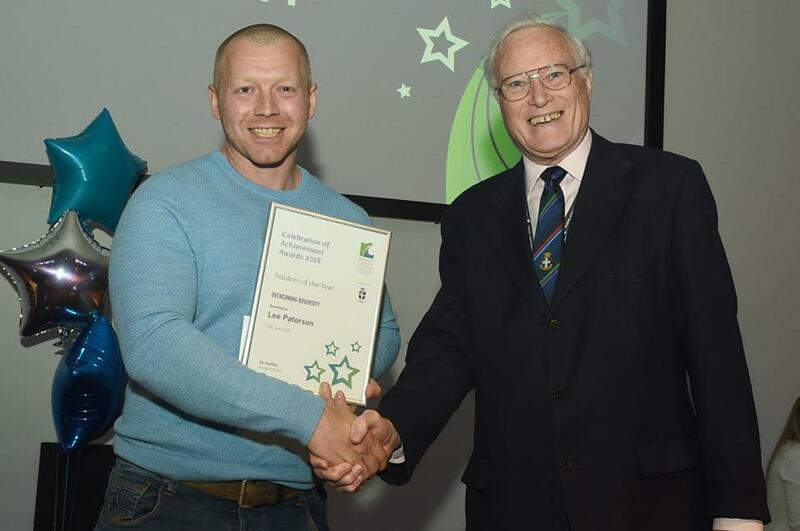 Winner of the Overcoming Adversity and Adult Learner awards was former Boulby mine worker Lee Paterson (pictured below). He returned to education studying maths, English and a pre-access course after being made redundant from the mine. Now he is looking forward to what the future brings and after university is even considering studying for a Masters.